Companies are able to define themselves on innovative products or production processes as well as exemplary service standards. For service-based companies – consultancies, accounting firms, law firms, etc. – it’s harder to define your competitive advantage in (potentially) crowded markets. For smaller service companies and startups in these spaces it’s even more difficult to define your brand and develop a competitive advantage. Why? Typically, the brand goes back to a single person or small group of people – the company founders – and the advantage is almost always rooted in the people. Simply owning and operating a firm, overseeing the day-to-day, managing the profit and loss (P&L), sales, accounts, customer service, marketing, and operations of a company isn’t what defines your competitive advantage. Certainly, the skills and expertise required to run a business, and the entrepreneurial drive most business owners have is critical to keeping their business running. However, it’s not enough to have a passion for business if it’s not partnered with a unique, in-demand service. Having a unique offering doesn’t mean that if you’re a lawyer you should avoid starting a law firm because there’s already hundreds in your area – it’s more about understanding what you offer, what your competitors offer, and how your offering is different. This can be achieved in any number of ways – you can conduct a competitor analysis, a SWOT analysis on your own firm, or a sector-based comparative analysis. Understanding how your competitors market themselves will help you differentiate your business. Hopefully you’ve already developed a good understanding of your market. If you don’t know your market, you need to get to know it, and fast. Attend local networking events, participate in chamber of commerce events, follow reports and market publications, and get to know what your customers want. Once you have a good understanding of your market you’ll be able to more easily set yourself apart. All of this hard work is critical to sustainable success, but if the person/people behind the company aren’t fully engaged in the brand, the message, and the vision, then the company won’t succeed. At the end of the day, you could have the best marketing materials, a fantastic sales model, and great referral relationships but it won’t be sustainable without a strong leader. Ultimately, in the service space, customers look for professional services provided by people they trust, like to work with, and see as providing them with a valuable service. First, and most importantly, don’t try to be everything to everybody. You’re an expert, you’ve honed your skillset over a number of years and built up a name for yourself in your space. You need to leverage that. While offering a range of services is important – make sure they all centre on your core business, your wheelhouse. By going too far outside of this you risk devaluing your core business and diminishing your value proposition. Instead of seeing you as someone who can offer turnkey service, you run the risk of clients seeing you as flighty or cheap. So how do you keep your service fresh? You need to innovate and build around the core. Talk to your Clients: Talk to your existing client base, your strongest clients – the ones you should be asking for testimonials – should be willing to provide feedback to you. Does the service address their problem? Was there anything they expected that you did not provide? Was the process for working with you clear and consistent? Is there anything else you can do to help them at this time? How do you present the service: What differentiates you from the way your competitors work? Just because an industry has been operating one way for decades doesn’t mean that you have to operate your business in the same way. Look for ways to change the way your service is presented or offered to the market. Can you leverage new technologies to expand your market reach or improve what you offer? Are there emerging market or consumer trends that you can use? By taking stock of what you offer, who you offer it to, what your clients are saying, and what is currently on the market, you can stay ahead of your competition. This will have an added benefit of giving you more repeat business opportunities, since you’ve identified new services your core customers are searching for. Repeat business almost always has a lower acquisition cost, and you’ll benefit from your knowledge of the client – how they work, and how your service works for their business. As I explained above – most companies turn to a service firm that specializes in one area or a specific offering. Building your name and your brand means honing in on your service offering and avoiding trying to offer too many different services. Remember, your clients turn to you because you are an expert in your area and you offer the best – not because you’re a jack-of-all-trades who can do anything. You want to be known as the expert in a focused area. This doesn’t mean you can’t help customers who want other services. While you’re building your name, you should be building relationships with other firms who offer complimentary services: marketing firms can work alongside web designers, accountancies and law firms can work together. Similarly, it’s important to build relationships with others who are farther outside of your space: marketing firms should have a good relationship with an accountancy. Why? You’ll improve your clients’ trust by providing them with a referral to another expert. When you offer a professional service, you build trust relationships with your clients. Giving them access to a network of services and professionals will help expand that relationship and set up continued business for your company. At the same time, your referral partners should be recommending you to work with their clients. Expanding this network of professionals will allow you to offer a more valuable, and better, turnkey service, than a single firm who claims to ‘do it all’. Even if you’re a one-person business with a very small roster of clients, it’s important to present yourself professionally and consistently. Strong branding means that your marketing material should be consistent – use the same fonts, colours, headers, email signatures, etc. on your materials. You don’t need to spend a ton of money on a marketing firm to develop these materials for you, with a bit of work in MS Office you can make templates for all of your main materials. By using branded materials where possible it will help ensure your company looks professional and conveys value. Developing templates for cover letters, quotes, and standardized emails will have the added benefit of making your work more efficient. You won’t need to draw up unique materials every single time, and if you keep everything organized, you’ll be able to develop a library to draw from. 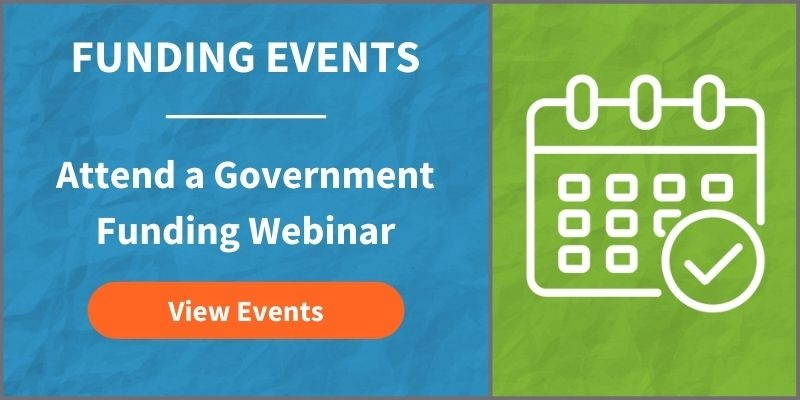 If you’re planning on expanding your service business’ competitive advantage, then you may be able to leverage a variety of Canadian government funding programs. Although startups and service-based businesses have limited options compared to product-driven industries, some valuable programs can still be accessed. If you are interested in learning more about funding opportunities available to service businesses, contact a Canadian Government Funding Planner.